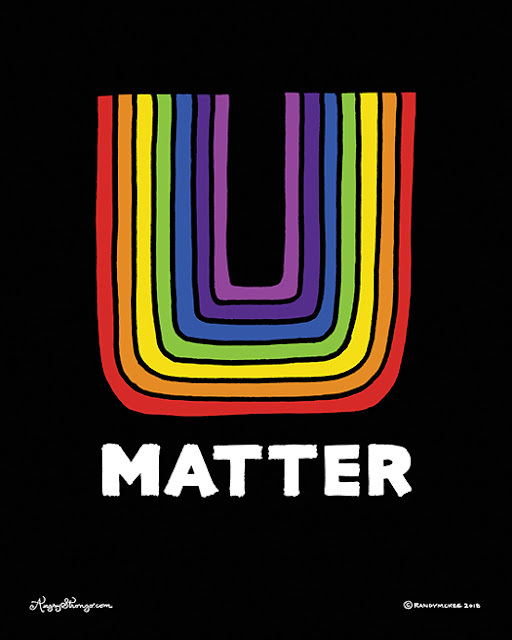 My latest poster, U MATTER, has very little typography yet it is just as difficult to finalize as any other poster that utilizes several variations. The type in this poster can't hide. I lacks all the distracting elements that many posters have to cram in like an event location or list of beverages being served at the event. I tried about 30 different hand drawn styles with nothing catching my eye. The only thing that hit me was that the stuff I was drawing was either too fancy or too thin or too something that made it lousy when sitting below the hand drawn U. I was left with the real problem every designer faces once in a while... quit or grind! Well, grinding isn't fun most of the time. Like the word implies, it's rough going. I'm not climbing Everest or anything, but I am trying to get to point B and B isn't in sight. You have no idea how far away the answer is lurking. All you know is that it exists. After a bit more grinding... 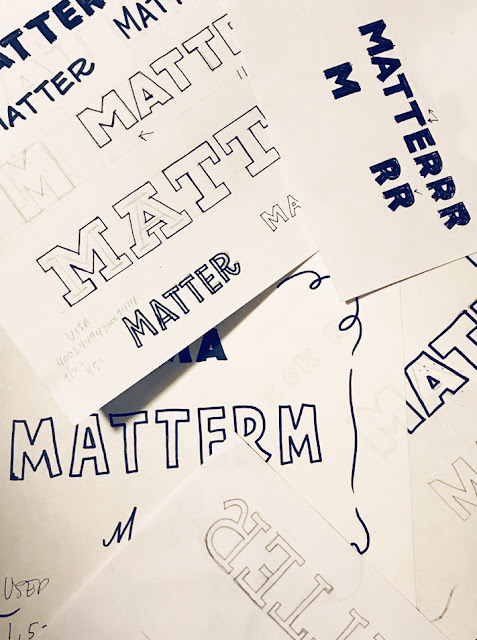 I just happened to quickly scribble some vertical lines together to build an M. And that was it. 40 to 50 variations and "whammo"... ya get it. I took a felt tipped marker, nothing fancy, and drew it serveral more times with that scribble-style to bold out the type. In the upper right corner, above, you can see it then took about 5 R's to get one that fit. I then scan it all into the computer and clean it up a bit (usually leaving it alone more than cleaning). The finished poster is simple... as simple as the statement. I gave it space to breathe and that was that. I did decide a black version would also work. 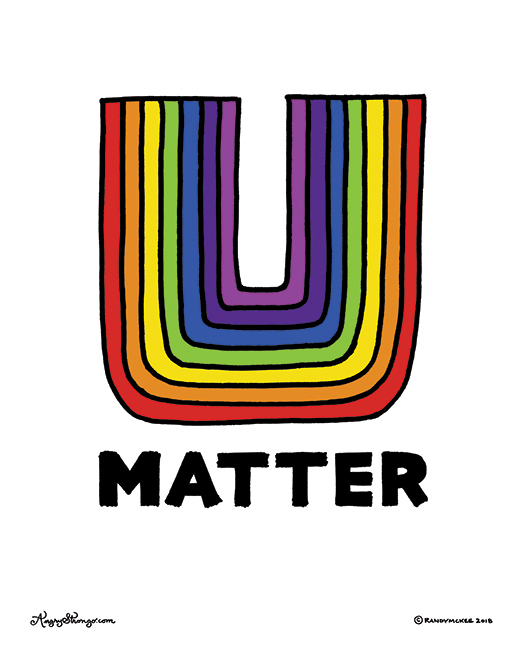 I shrunk "MATTER" just a bit due to the brightness of the white. It could speak loudly even with a reduction in scale. Felt right.